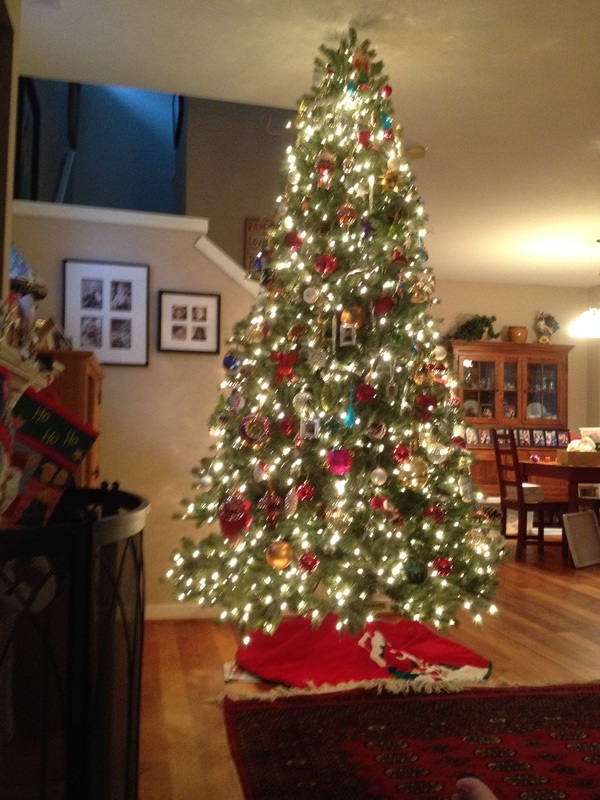 We have two trees that are decorated in our home. One is tall and beautiful. It is decorated with white lights and a variety of shiny ornaments. Each year, we place my son’s new Santa picture in a miniature frame and find a special place of honor among all the branches. I take great pleasure in seeing all of the previous pictures in little frames scattered around the tree. This large tree takes several hours to decorate with family ornaments and will reside in our living room until New Year’s Day. We also have another tree. A much smaller tree. It is placed on my son’s dresser and can be decorated in less than fifteen minutes. This tree is tiny in comparison, but it brings out more emotions than the tree four times its size. Six years ago, we were very close to finalizing our son’s adoption when our world suddenly stopped. A birth relative had come out of nowhere and decided that she should raise our son. I remember where I was standing when I received that call. I remember the way that breathing suddenly required too much effort. I remember thinking that I was going to pass out or throw up. I was paralyzed. This life changing phone call and enormous battle began right before Thanksgiving. We were told by the “experts” that we could fight, but that we had no chance. We could spend forty thousand dollars and most likely, our son would still be sent to live with someone else, a stranger. We had no choice and we fought. We contacted everyone and anyone that might help us. We hired an attorney. We wrote letters and we attended terrifying meetings that were planning our boy’s removal from our home and family. As we did these things, we tried to celebrate the holidays with family and friends. Although no one knew what to say or how to help, we wanted our almost two-year old son to experience Santa and everything that the holidays offered. We woke up in fear each morning; we chose to focus on the possibility that we could win. It was the only way to live in those days. When it came to the day after Thanksgiving, we just didn’t have the energy to put up the 10 foot artificial tree that required so much time and energy. So instead, we went to a local crafts store and found a small 3 foot tree and decorated it with toddler-friendly ornaments. At that point in time, that was all we could give to a tree. Surprisingly, our toddler loved the small tree. He was able to get close to it and inspect all the ornaments without us telling him no. There was no fear that he would pull this small tree over and break precious ornaments that were individually wrapped at the end of each season. It was the most approachable Christmas tree. We survived that Thanksgiving and Christmas. We continued to fight through Easter and Mother’s Day. Just days before Fourth of July, we were awarded permanent custody of our son. During each one of those holidays, it was unbearable to shop for gifts and pose with smiles for family pictures; however, I’m glad that we did. We have a Santa picture from each year, even that year. As I sit and enjoy both trees, I am thankful. I can appreciate the “tall and the small” for the unforgettable memories. Beautiful story. I can’t even begin to imagine how difficult those days must have been for you. So glad things worked out as they did! Thank you 🙂 Me too! Wow. I had goosebumps throughout this entire story, friend. What a terrifying time those long months must have been. 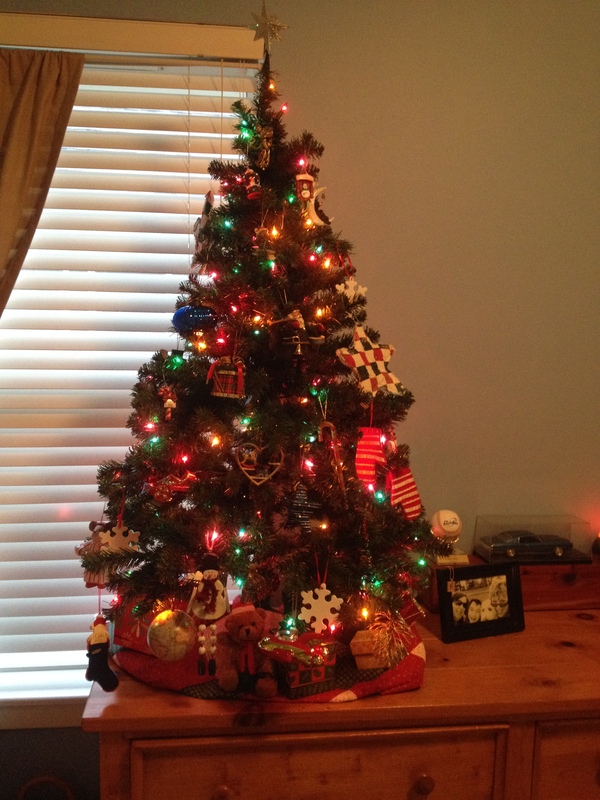 I’m so glad that everything worked out as it should…and I love that your son still gets his small tree. What a powerful post and what an emotional experience. That tree will be symbolic for a long, long time. Thank you for sharing.